Having previously tested the Trakke Storr Carry-On Backpack—which we were very impressed with—we couldn’t wait to get our hands on some more of their gear. Described by Trakke (pronounced track) as “a versatile bit of kit, perfect for keeping those daily necessities close at hand,” we’re taking a look at the Laggan Travel Accessory Pouch—which sounds right up our alley. In just over two months, this pouch has seen use in Spain and various places around the UK—so we know exactly what it’s capable of. But is it something everyone needs to be taking on their travels? 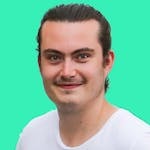 Let’s get into this review and find out! The Laggan Pouch comes in a range of five colors—olive, black, navy, plum, and crottle (red). So whether you want something that will stand out or blend in, the choice is yours. And while opinions may vary, we like the look of this pouch and believe the minimalistic design should keep the majority of people happy. When it comes to branding, there is one solitary logo on the front of the pouch. 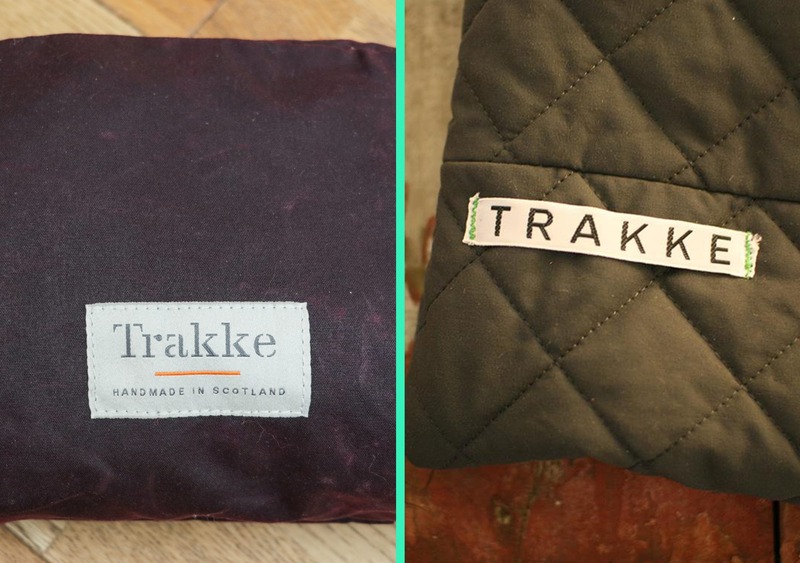 Over on Trakke’s origins page, they mention how their first labels were just “name-tapes like the ones you would sew into your school uniform.” It’s clear to see how their branding has progressed, and the refined look compliments the pouch nicely. 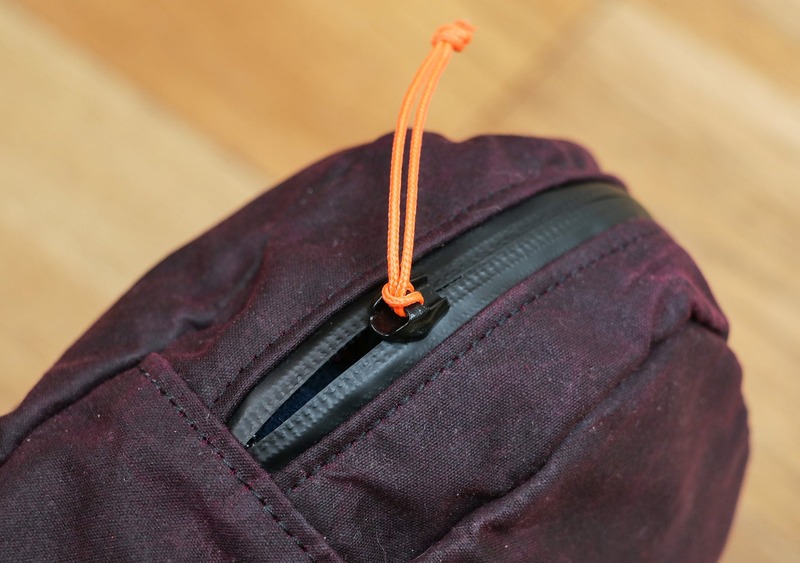 The Laggan Pouch is constructed from waxed cotton canvas. This stuff is typically on the heavier side, but in this case it only weighs in at a mere 6 ounces—which is quite light. The canvas feels great to the touch and also makes this pouch incredibly weather resistant. Coupled with the YKK Aquaguard® 5RC zipper—which features a delightful orange zipper pull which works well with the design & branding—this travel pouch is one of the most weather resistant organizers/pouches we’ve tested to date. The question of whether you actually need a heavily weather-resistant travel accessory pouch is heavily dependent on your use case… But we like the peace of mind this one brings us. And outside of rainstorms and aquatic adventures, one overlooked benefit is that this will keep things safe if you were to have a leaking water bottle or toiletry product in your larger travel bag. This pouch is 6” high, 8” wide, and 2” deep. It’s not huge, mainly because it’s specifically built to keep all of your smaller travel accessories together. 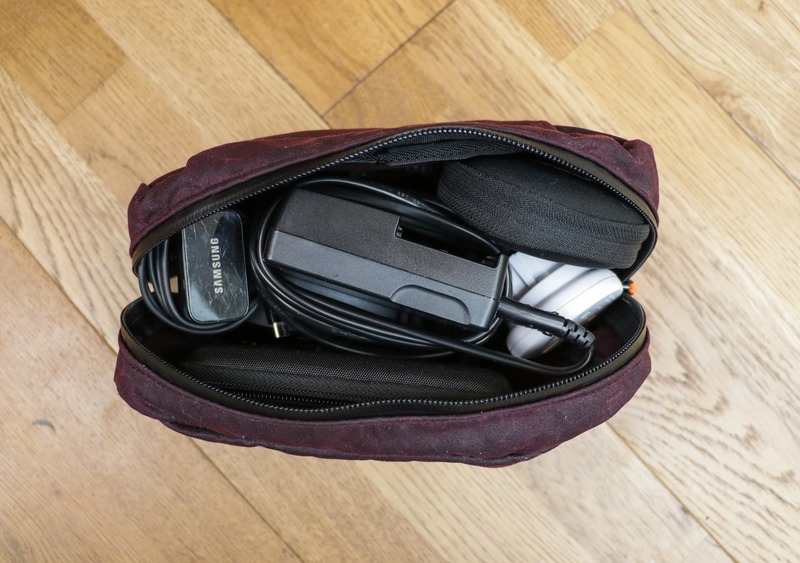 Because there is no internal organization, you can fit some larger items—like laptop and camera battery chargers—into this pouch. If you’re looking for something with lots of internal organization, you might want to take a look at our review of the Bond Travel Gear ESCAPADE Pouch—which has very similar dimensions and weight. 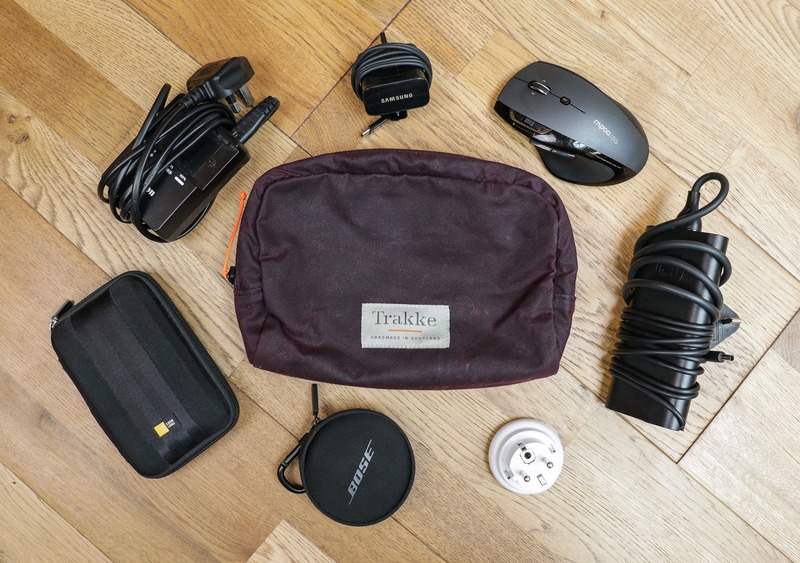 Primarily, we’ve been using the Trakke Laggan Travel Accessory Pouch for all of our electronics—like chargers, a wireless mouse, and camera batteries. We have used this pouch as a toiletry bag on one trip, and that worked well in testing. This is perhaps the best part of this pouch—it’s versatility. What you choose to use it for is… well, your choice! 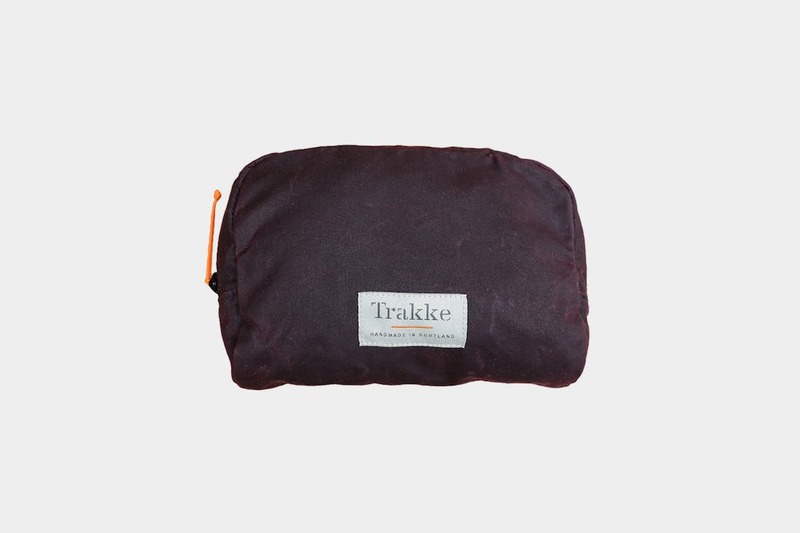 The obvious location for storing this pouch is within your pack, but Trakke does have a couple of other options up their sleeve, utilizing the discreet pass-through panel located on the back. The first option is to attach this pouch to your pack externally, using Trakke’s MOLLE Lashing Straps, that can be used in conjunction with their Storr and Assynt Backpacks. The second option is to attach this pouch to Trakke’s Padded Waistbelt and use it as a waist pack. 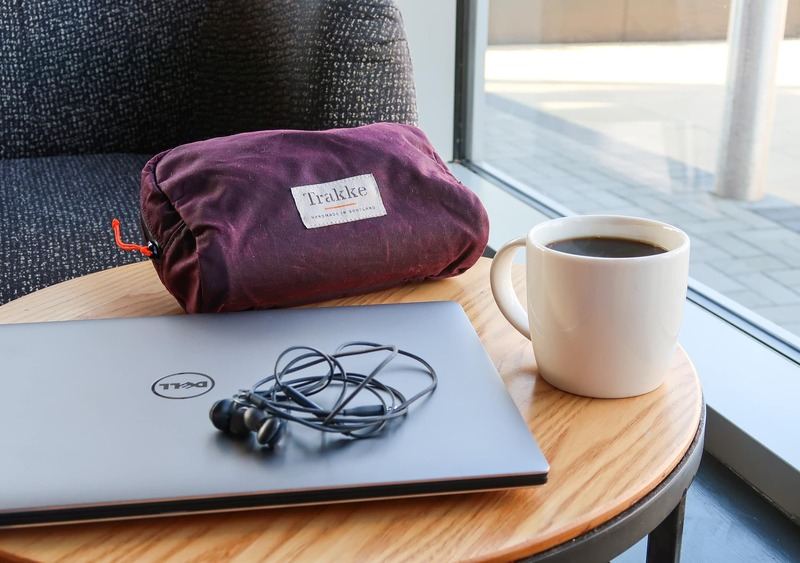 It’s nice to see that Trakke has put an emphasis on versatility with this pouch, especially seeing as these additional functions don’t detract from the Laggan Pouch’s core use as an internal travel accessory organizer. After two months of testing, the Trakke Laggan Pouch is holding up as well as we expected (incredibly well) and we don’t foresee any durability issues with this pouch. The combination of tough waxed canvas, a quality YKK zipper, and the fact that it’s handmade by professionals in Scotland, tells us this pouch is built to last a lifetime. And if for whatever reason it doesn’t, Trakke offer free repairs forever! We haven’t had any first-hand experience with the Trakke warranty ourselves, but when a when a brand puts such a bold guarantee by their products, it’s because they know the product will stand the test of time. 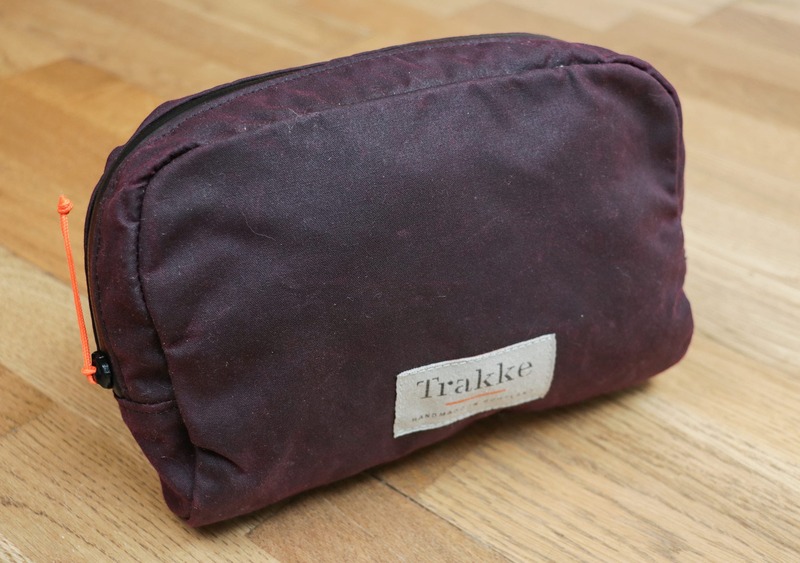 It’s also worth noting that you can “top up” the durability and water resistance of the pouch by applying Trakke’s Reproofing Wax after you’ve been using this pouch for a while. This doesn’t need to be done, but after a year or so of use, it may be a good idea. In testing, we’ve thoroughly enjoyed the simplicity of this pouch and it’s proven to be a trustworthy and reliable product that you can cram travel accessories into at your convenience. The only small gripe we have is that the waxed cotton canvas did attract the odd bit of fluff, but it’s easily wiped off. Picks up a small amount of fluff, but other than that it’s a pleasure to use. No foreseeable durability issues, this thing is built to last! Picks up more fluff than we’d like. Lack of internal organization could be a problem for some. The Trakke Laggan Travel Accessory Pouch is a versatile piece of travel gear that will improve your pack’s internal organization—even though it has none itself. The simplistic design and quality materials used make this is a perfect piece of kit for throwing all of your travel accessories in—you’ll be comfortable knowing that this pouch can handle anything you’re willing to throw at it and that your items will be safe inside. Other than our small gripe of it attracting a tad too much fluff for our liking, the Laggan Pouch is a solid product that does what it’s made to do very well.